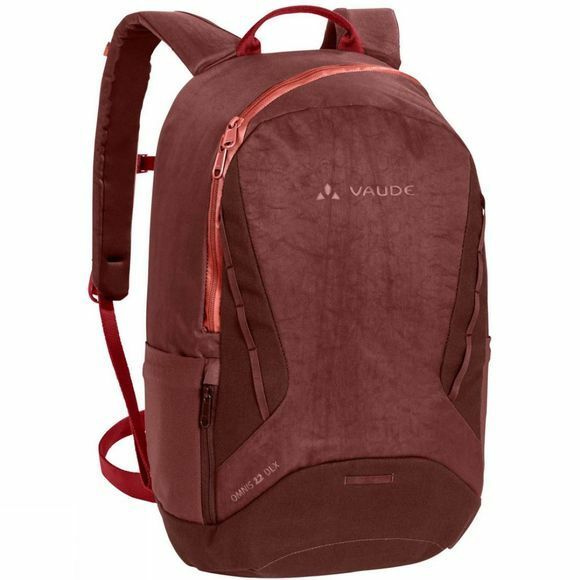 The Omnis DLX 22 Rucksack from Vaude is DLX is an urban daypack with high-end technical features adapted from mountain sports. The robust Omnis DLX is a performance day pack for urban adventurers, athletically inclined bike commuters and eco-friendly pioneers. Bike lock, helmet and safety light are easily attached to the front of the pack. 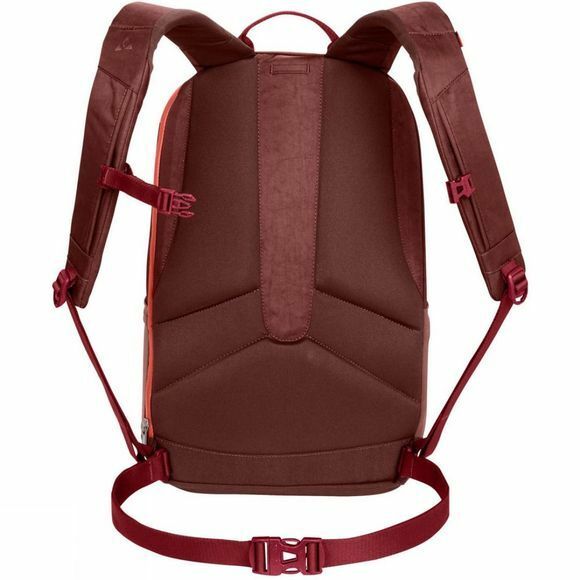 The asymmetric, water-resistant 3-way zip is strategically positioned to allow you to open the pack from the top and the side for easy access to a padded laptop compartment even with a fully loaded pack. The compartment easily houses 15” laptops and tablets. In the main compartment, we’ve added a clever array of pockets and compartments for legal-sized documents, a USB flash drive and your laptop power supply unit.